New Year in the South Caucasus is the happiest and brightest holiday. During the festive days the streets are beautifully decorated and the locals are hustling and preparing for the celebration. All the necessary products are usually bought a few days before the 31st of December and hospitable hostesses spend whole days in the kitchen cooking various delicious traditional dishes to meet their guests with dignity. So, this post is about the most delicious and popular festive dishes of Armenia and Georgia – two bright and hospitable countries of the South Caucasus. And if you are lucky to visit these countries during New Year's holidays, make sure you have a list of these must-try dishes. For Armenians, New Year is a family holiday. The family gathers at the festive table to try traditional New Year's dishes and celebrate the New Year in the best way. Before presenting the most delicious New Year's dishes, here is a short historical background about the traditions of celebrating this holiday in Armenia. Pagan Armenia had its own calendar and celebrated Navasard (New Year). It was celebrated on March 21, the day of the Vernal Equinox. On this day the Armenians celebrated the beginning of spring and asked the gods for a rich harvest. The tradition of celebrating the New Year on January 1 was adopted in Armenia in the XVIII century. 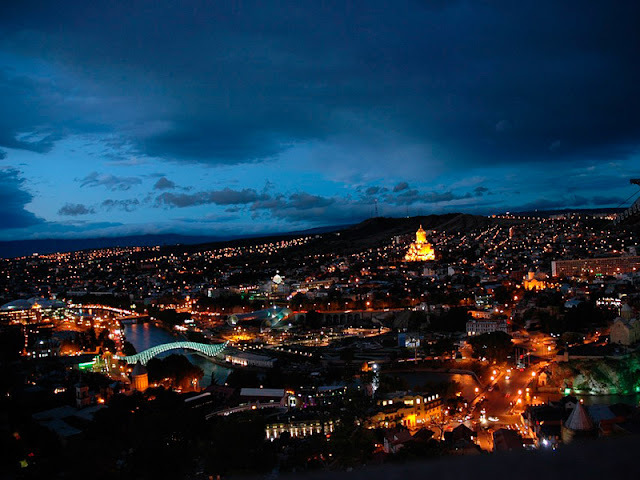 Despite the fact that centuries have passed and Armenia has become a Christian country, many traditions of celebrating the New Year have been preserved to this day. This also applies to New Year's dishes. One of the main dishes of the New Year holiday table is dolma with grape leaves. Delicate grape leaves give the meat a slightly sour taste. Dolma is prepared mainly from beef, sometimes a little pork is added for a more delicate taste. Dolma is served with matsoni and garlic. 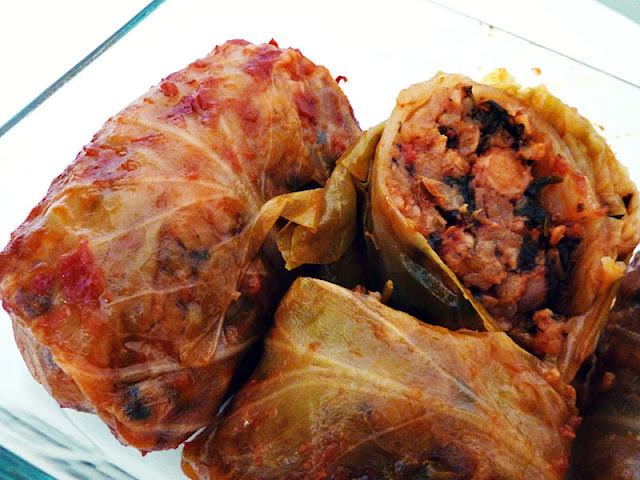 Well, if you are a vegetarian, you can try another traditional New Year's dish, pasuts dolma. It is prepared from sauerkraut, and is stuffed with wheat, bulgur, lentils, peas and chickpeas instead of meat. The pasuts dolma is served as a cold snack. Another traditional dish is ishliqyufta. 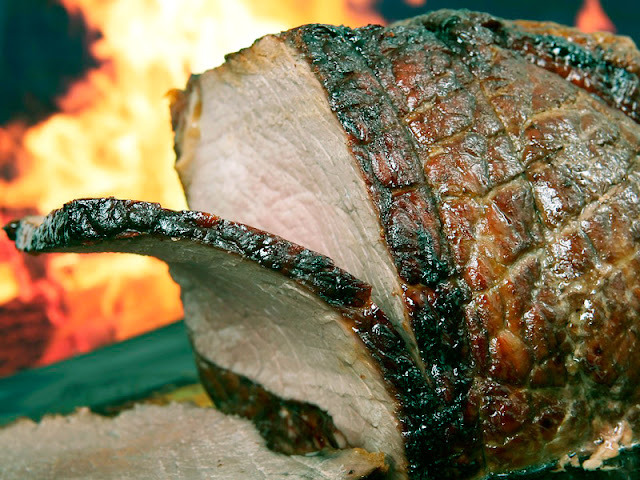 The cooking process is rather complicated, this is why the dish is prepared only for the holidays. Ishlikyufta is prepared from veal with walnuts and spices. The dish looks like a cutlet and is served with a lemon. So, these are some of the most common New Year's dishes in Armenia. But, of course, that's not all. The Armenian hospitable table usually bursts with all kinds of snacks, salads, national sweets, local dried fruits and all sorts of nuts. And if you can’t manage to visit this country during the holidays don’t get upset. In summer and autumn you will be able to enjoy such activities as cycling, trekking and hiking in Armenia. The New Year in Georgia is celebrated as cheerfully as in Armenia, and the New Year's table is no less luxurious. Georgia is rich in traditions and the New Year is another occasion to get acquainted more closely with the passionate Georgian people. So, what is worth trying? The festive table literally breaks under the weight of dishes, all kinds of snacks, sweets and fruits. 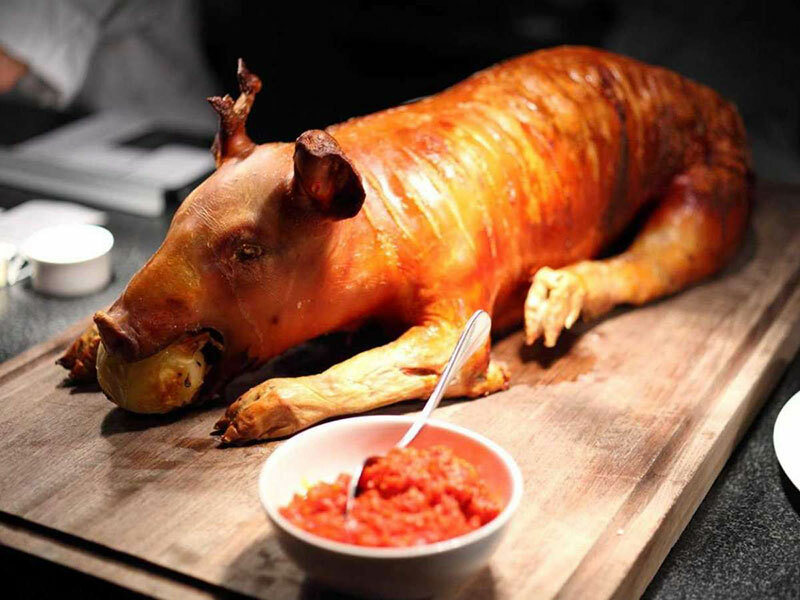 The main dish of the New Year's table is a roast piglet. It is a symbol of abundance and prosperity, and the fatter the pig is, the richer and more successful the coming year will be. The second indispensable traditional dish that you should try during the trip to Georgia is Satsivi. Each region has its own unique recipe for its peparation. 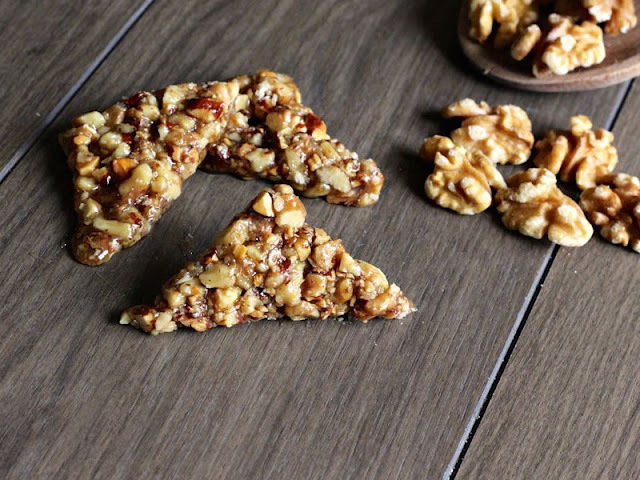 The main ingredients are turkey, spices and walnuts. Satsivi is served cold. Gosinaki is the most popular dessert on the festive table.It is made from walnuts and honey. Today gosinaki can be bought at any time of the year, however, by tradition, it is prepared for the New Year. These are just a small part of festive dishes that you will find on Armenian and Georgian tables. As soon as you get back home, make sure you hide the scales because you’ll have definitely gained a couple of pounds. I love Georgian cuisine, I have a friend from Georgia. Many of the dishes she prepared for us on your vacation. Unfortunately, Satsivi did not eat. I will definitely ask her to prepare this dish for the next holiday. Thank you for the article, interesting and informative! New Year in the countries of the South Caucasus is a noisy and emotional holiday with an abundant and varied choice of dishes! 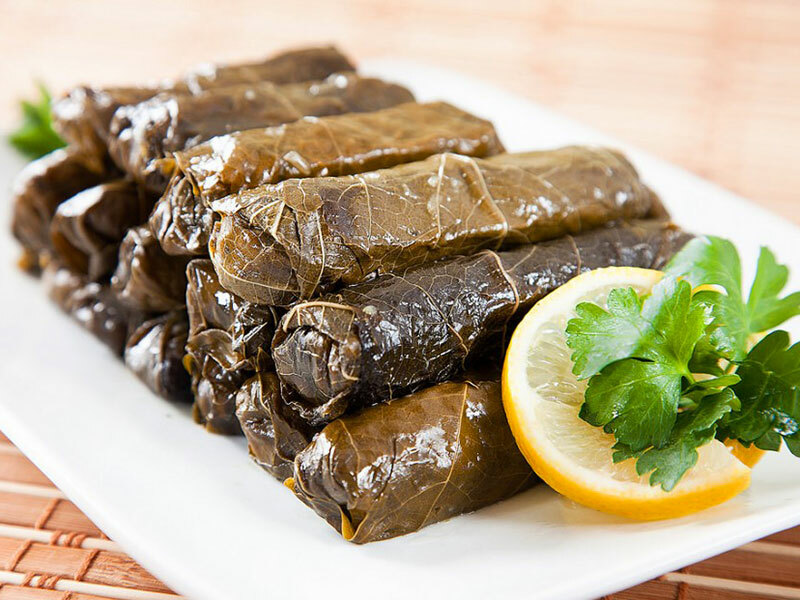 My one of the most favorite dishes is a dolma with grape leaves! This is an interesting and informative article, the traditions of Georgia and Armenia are very beautifully described, especially I was interested in their special cooking during the holidays. Thank you for this post!